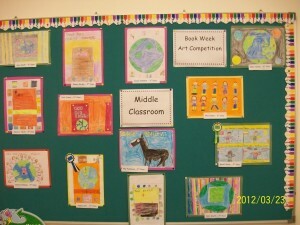 Book Week In-School Art Competition! 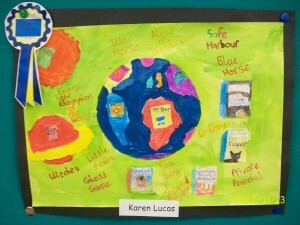 As part of Book Week 2012 in Wandesforde National School, the children participated in an In-School Art Competition on the theme of books. 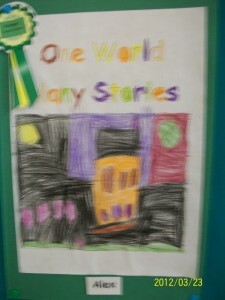 This year the theme was “One World Many Stories”. 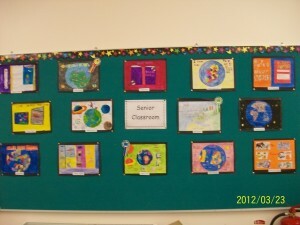 The children’s completed artwork is on display in the Assembly Hall for parents to see at the Book Fair! 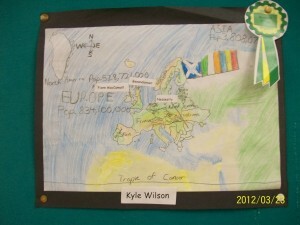 Once again you’ll see that the standard of art is very impressive so well done to all the children! 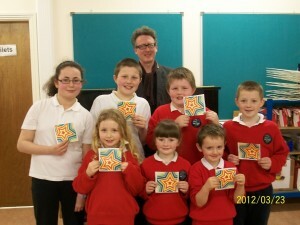 The winners were presented with their star book token by our visiting author, David Donohue. 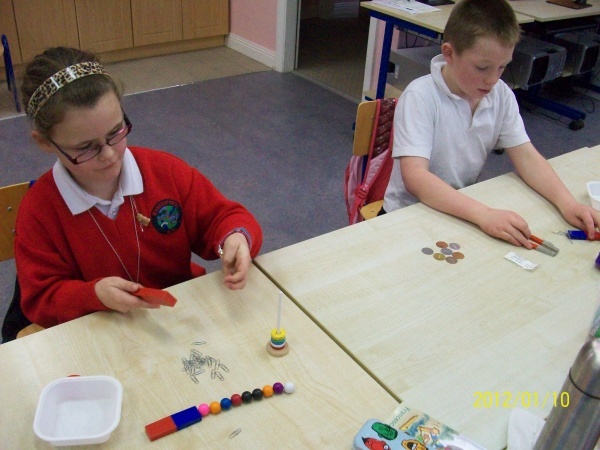 They can now use the token to get a free book from the Book Fair. 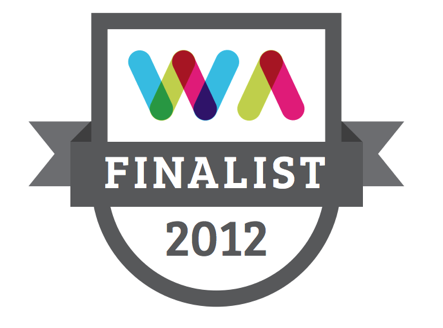 Congratulations to you all! 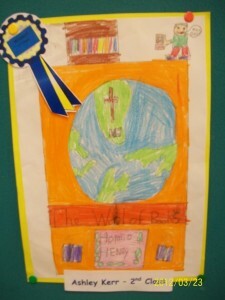 Here are their winning entries! 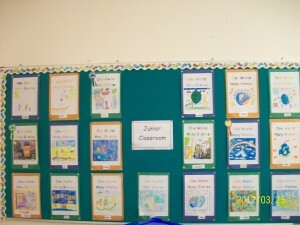 The following are each classroom’s competition entries on display! Book Fair at Wandesforde National School! The school will host their Annual Book Fair from Thursday, 22nd March until Tuesday, 27th March inclusive. On these days the Book Fair will be open to children and parents from 9:10-10a.m and 2-3pm each day. We look forward to your continued support of our Book Fair as the school will once again receive 60% book commission of all money raised. 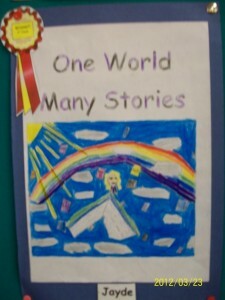 In preparation for the Book Fair, there will be an In-School Art Competition on the theme of books entitled, “One World Many Stories”. 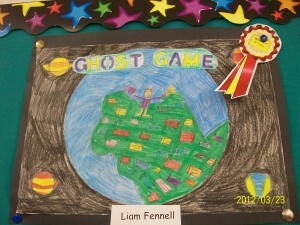 All entries as well as the winning entries from each class will be on display in the Assembly Room for all parents to see during the Book Fair! On Friday, 23rd March, David Donohue, a local author will visit our school to further promote the importance of books and storytelling. 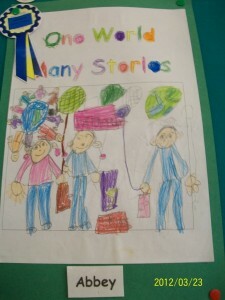 The children will engage in storytelling workshops with David on this day. We will keep you posted on all the events happening in our school during the Book Fair through our website so keep in touch!! 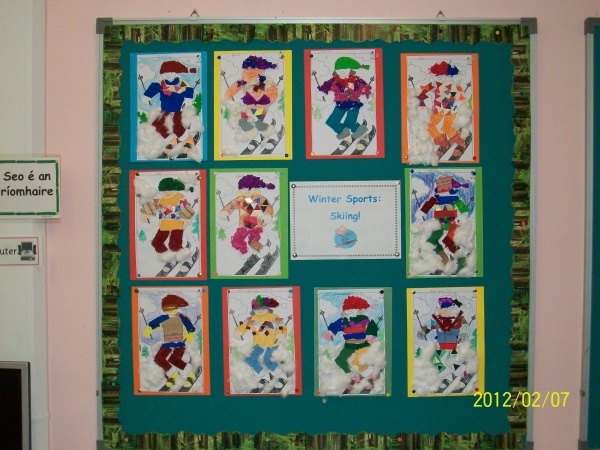 February has been Fun in the Junior Room! 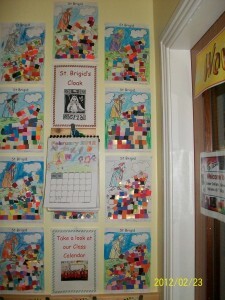 We remembered St. Brigid’s Day at the start of February and the children had great fun designing St. Brigid’s Cloak using coloured mosaics! In SESE, the children have been learning about Water. 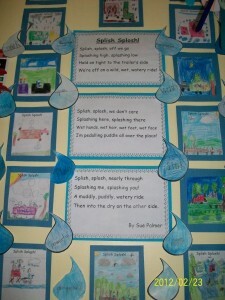 We had great fun learning about the Water Cycle and we learned a poem called “Splish Splosh” The children drew lovely pictures to illustrate this poem. 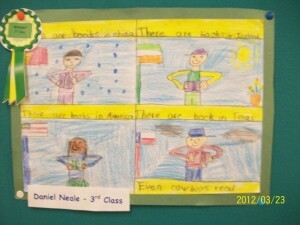 Take a look at their drawings below! 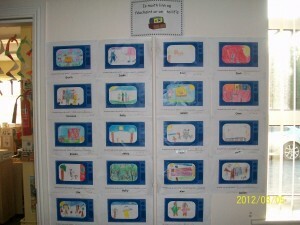 In Gaeilge, the children learned all about “An Teilifís” and drew their favourite television programme or cartoon! 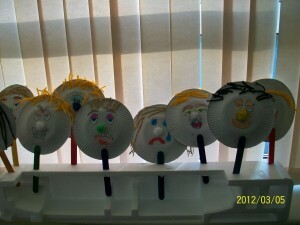 In SPHE, the children learned all about our emotions and as an art activity they designed a paper plate puppet which has a two sided face displaying two different emotions. Look at their emotional puppets! 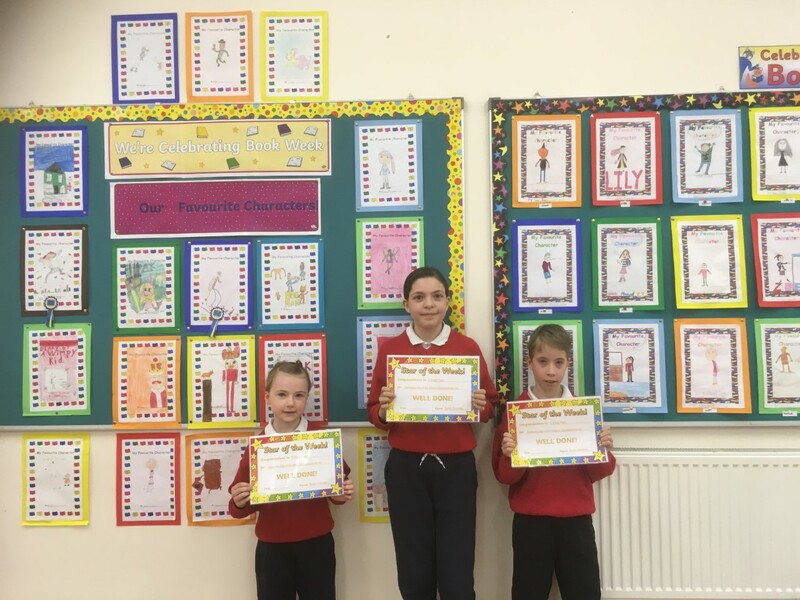 In English, the children have been busy learning their February “WOW” words which is part of the school’s strategy in further developing literacy in our school! The children also listened to the story of Elmer the Elephant and they designed their own patterned coat for Elmer using rolled up crepe paper too! 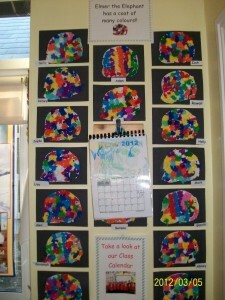 Well done to the Junior Room on all your lovely work this February!! 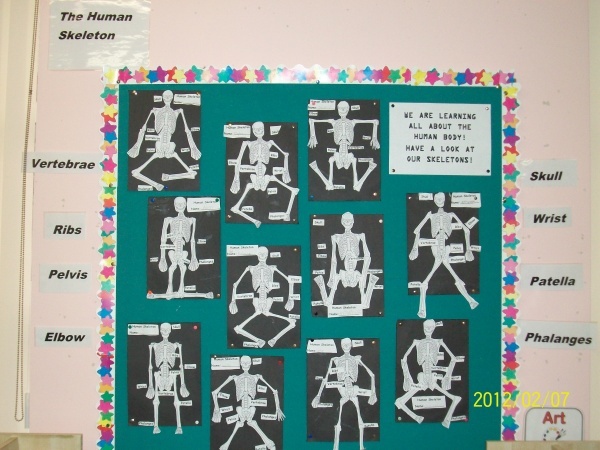 The children in 2nd & 3rd class have been learning about the human body over the past few weeks. 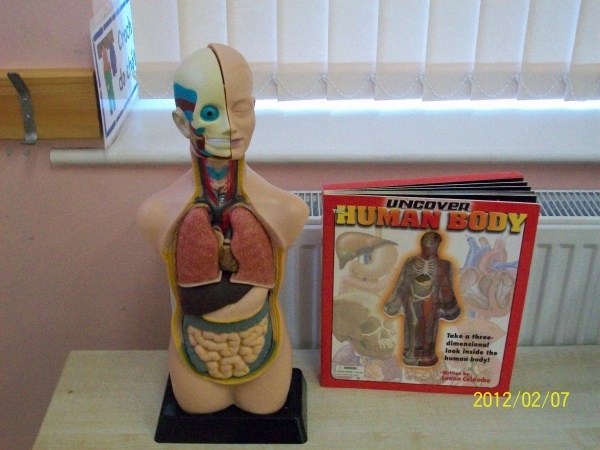 As well as learning the names of various bones in the body, they got the opportunity to see inside the human body and learn about the functions of various organs such as the heart and lungs. Above you can see our skeletons and below, a model showing the inside of our bodies! 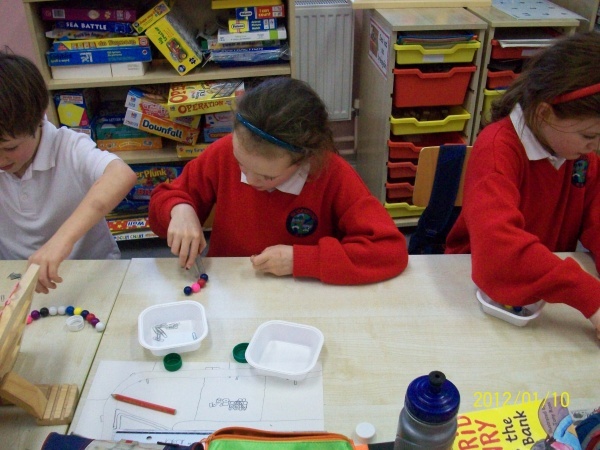 We have also been learning about magnetism in Science. 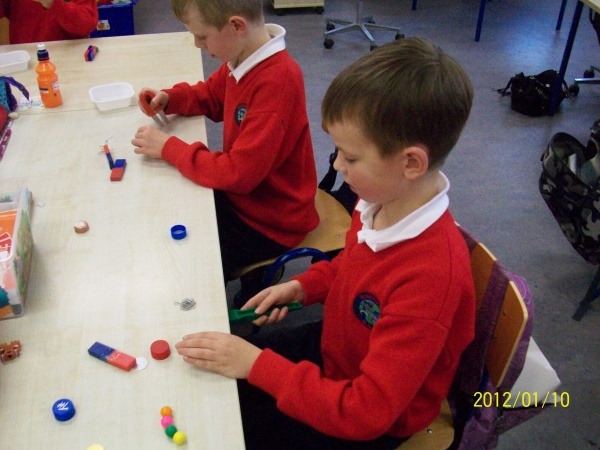 The children were given opportunities to freely explore the properties of magnets in groups. We completed experiments to see if magnets worked through various materials. 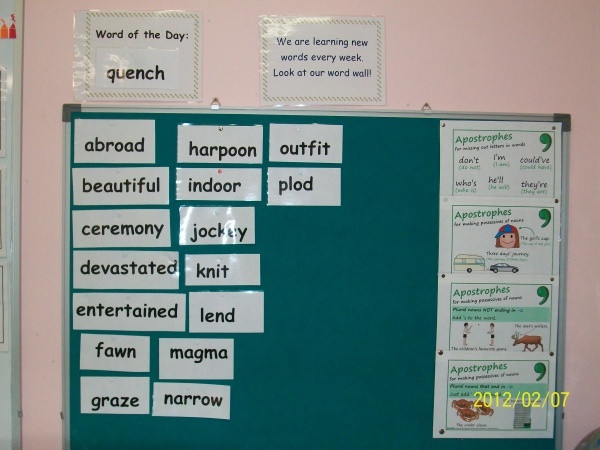 As part of the literacy strategy introduced in primary schools over the past few weeks, the children have been learning new and interesting words each day and creating sentences with them. 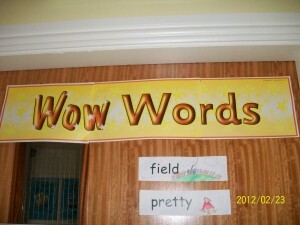 Here is our word wall, showing some of the words we now know! 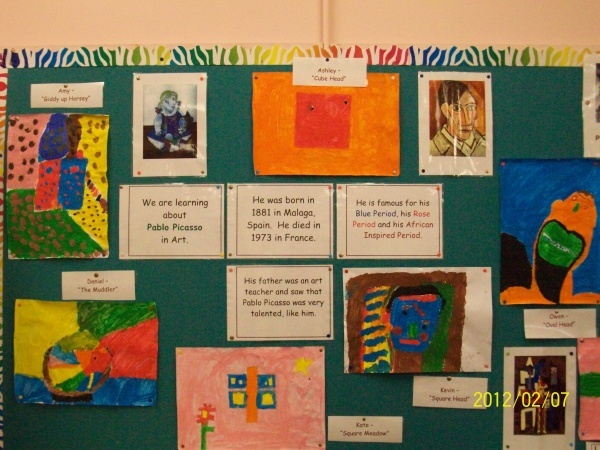 In Art, we studied the works of Pablo Picasso and learned about his Blue Period, Rose Period and African Inspired Period. 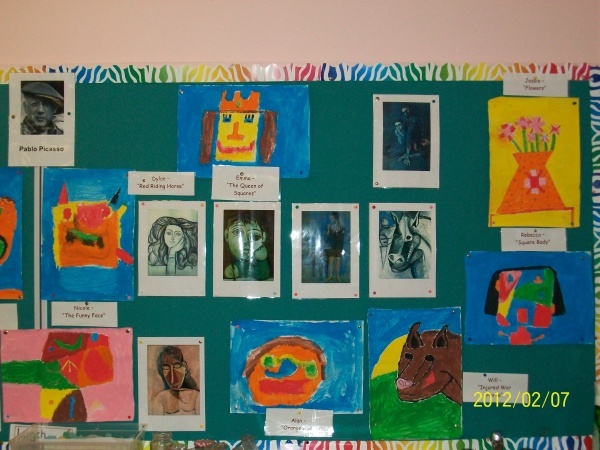 The children then created their own Picasso inspired works and thought of a name for their piece of art. 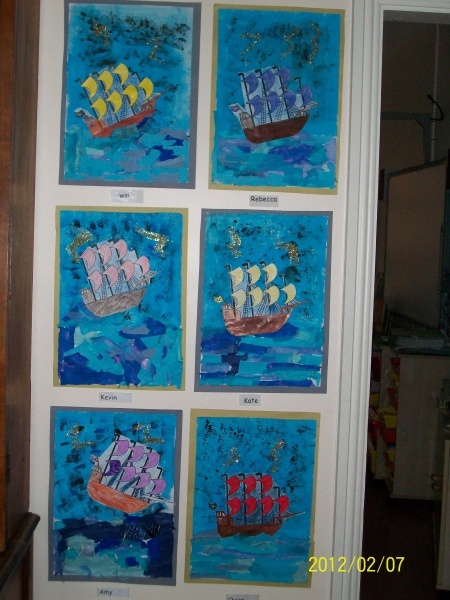 We also designed our own ski jackets for the wintery weather and used various textured papers to enhance our designs…..
We also completed a collage entitled “Stormy Seas and Pirate Ships” using various medium. 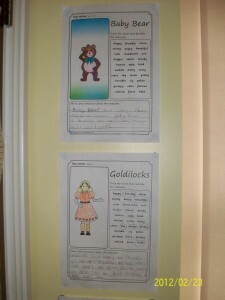 They are on display in the corridor, just outside our classroom.